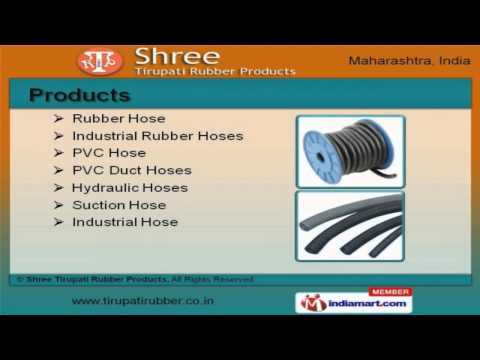 Welcome to Shree Tirupati Rubber Products, Manufacturer and Exporter of Industrial Rubber Products. The company was established in 2006 at Mumbai. Our products are applicable in Automobiles, Electronics and Construction areas. Netco Tiles, Sunbeam Appliances and I T D Limited are some of our elite clients and we are backed by finest quality products and Tamper proof packaging. We offer a wide assortment of Rubber, Hydraulic and Suction Hose. Our Rubber Sheets, Hose Nozzle and Electrical Mats are best in the industry amongst others. We offer Floor Mats, Rubber Pipes and Hose Assemblies that are widely appreciated in the market. Hose Adapters, Landing Valve and Industrial Pads offered by us are some of our best selling products. Along with that we offer Rubber Products, Blankets and Cords that are a class apart. We also provide Silicone Products and Suction Strainer that are nothing but the best solution for all your needs.